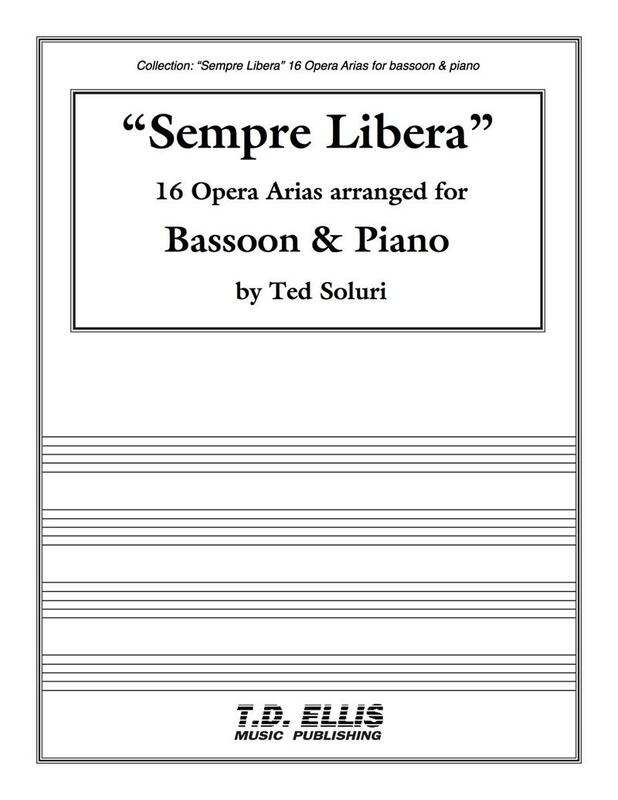 16 Opera Arias arranged by Ted Soluri for bassoon and piano. Ted Soluri has a wonderful recording of these arrangements. Item 51901. I have been a fan of vocal music, and particularly the operatic repertoire, since I was in college. I quickly realized that my love of vocal music added so much to my concepts of sound, vibrato, and phrasing. This became even more apparent when my teacher in graduate school, David McGill, introduced me to the artistry of soprano Maria Callas. A polarizing figure, Callas did not always sing with a “perfect” voice, but her technique and phrasing are still virtually unparalleled. I have learned so much about phrasing simply by listening to her recordings. Rarely have I heard someone sing with such a natural line and control that makes the listener feel they are listening to it the way it was meant to be sung. As you study and learn these arias, I encourage you to spend as much time listening to various singers as you can. It will only help you reach a deeper understanding of the repertoire. I also think it is very important to look at the piano/vocal scores and English translations of the text to fully understand how things fit together and to get a firm appreciation for the meaning and context behind each piece. I have carefully chosen articulations that are instrumental in nature but that still stay true to the original text in relation to hard and soft consonances as well as vowel sounds. 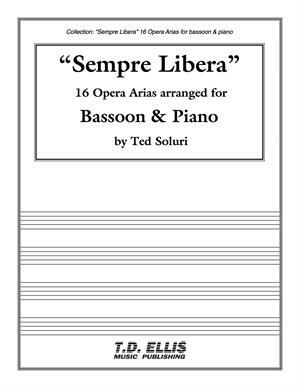 This compendium is tied in with my debut CD, "Sempre Libera" on Azica Records available through The Music Source and most classical music retailers. Listened to in conjunction with vocal performances, it can also prove a valuable asset in how to approach these amazing pieces of music. The most important things, though, are to have fun and sing! In fact, everything on the album works. Mozart, Donizetti, Rossini, Catalani (and Lehar? Yes, that staple of silent film scores, "Vilja Lied" from The Merry Widow, is one of the longest tracks on the album, but I wish it were longer). It's all magnificently rendered, and we should thank Mr. Soluri and Ms. Trujillo for bringing us these selections that we already liked — most of them, anyhow — because now we can like them in a new way.